2002. 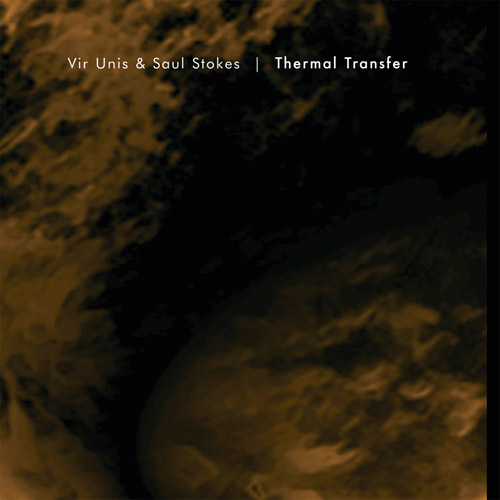 The third Binary release, first ever collaboration between Vir Unis and Stokes, THERMAL TRANSFER is also the most uptempo, high energy recording yet released by Hypnos or its related labels. In fact, truth be told, this recording is the very reason that the Binary label was created -- so Hypnos could bring you excellent electronic music, even if the style in question was too "hyperactive" for the Hypnos label. The mp3 clip samples below should give you some idea why we're as excited about THERMAL TRANSFER as anything we've ever released. "I have to say Thermal Transfer now is one of my favorite hypnos family releases. Very cool production and a very nice synthesis/blending of the pair's (Vir Unis & Saul Stokes) individual styles. Recomended!"